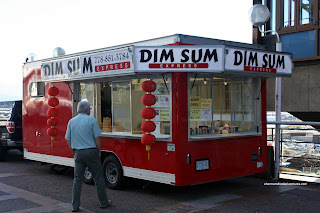 "Dim Sum on wheels!" laughed Rich Guy and Toolman, a good 14 years ago when Costanza and I suggested that Dim Sum should be accessible as a lunch time takeout option in Downtown. Yes, they really thought we were nuts. However, we really believed in the idea. After all, if they could make take out sushi work, why not Dim Sum? I guess the logistics of steaming the items and keeping them warm would be a different matter. Now many years later, we finally find the first foray into this idea. As part of the food cart experiment by the City of Vancouver, we find Dim Sum Express parked outside Aqua Riva and adjacent to Canada Place. A very pretty location, albeit not exactly hopping mad with foot traffic. I arrived as they were just setting up shop for the day. Seeing that 10 paltry minutes cost $1.00 at the meter, I decided to wait in the car until it was time. But I didn't read the meter carefully and ended up putting in more money than the time limit allowed for. Argh... the feeling of wasted money... So very much against my Chineseness... After the sting of losing money, I headed over to the cart and considered my ordering options. Rather than ordering everything a la carte, I went for their Dim Sum Combo for $6.99. With that, you get Haw Gow, Sui Mai, Potstickers, BBQ Pork Bun and Veggies. A decent deal in my books. However, value and taste are mutually exclusive in this case. 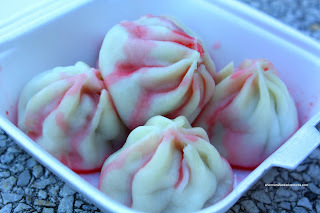 The Sui Mai were very pasty and didn't have that bounce texture we all look for. The Haw Gow was not that great either. The dumpling skin was overdone and doughy. Inside, there was more of shrimp mousse than actual pieces of shrimp. Actually, the Potstickers weren't bad. I did like the filling, it was savoury and moist. 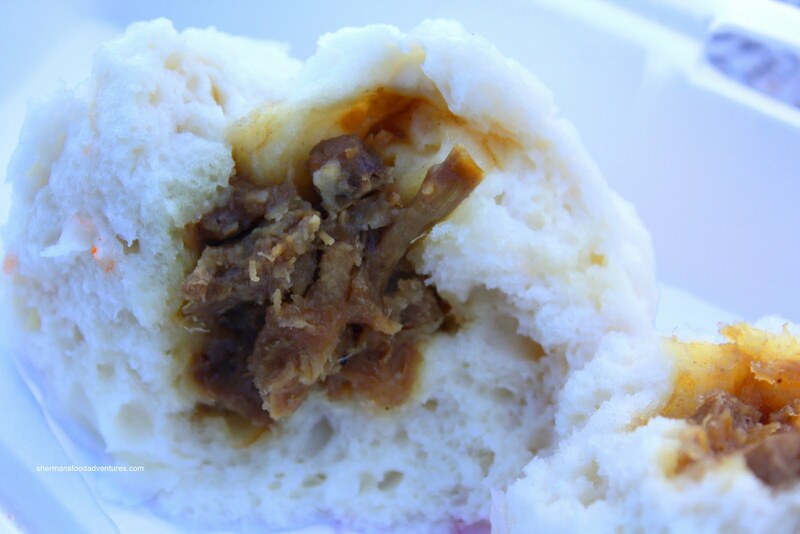 The BBQ Pork Bun was fluffy; but the pork itself was pale and predominantly swee t.
I got an order of Xiao Long Bao for kicks and predictably, they would never challenge the ones you'd find in Richmond. To be fair, they were not bad considering everything. Sure, the dumpling skin was thick; yet the filling was actually decent with some juice. Lastly, I got one order of the Loh Mei Gai or Sticky Rice wrapped in lotus leaves. 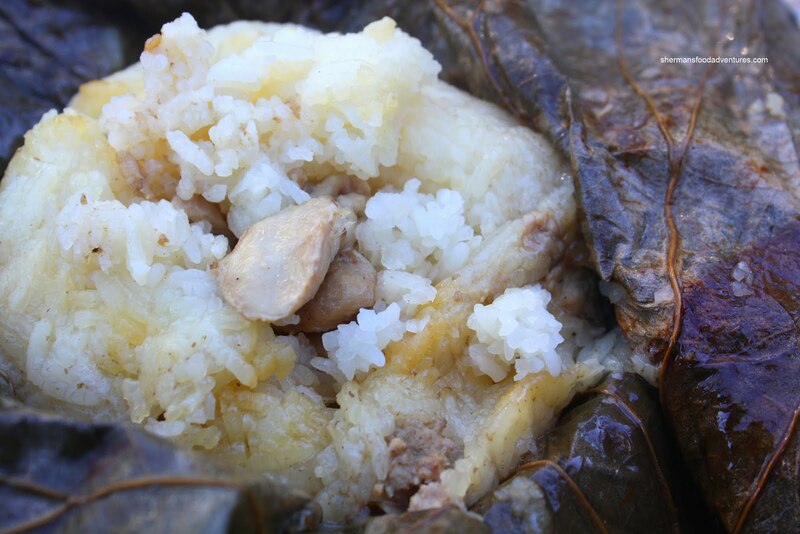 Sadly, this was oversteamed and wet where the rice was practically disintegrating on contact. There was a lack of meat and flavouring as well. However, it was pretty large and for the price; an okay value. To be fair, I've grown up experiencing really good Dim Sum. Hence, it is totally unreasonable for me to compare this to an actual restaurant. 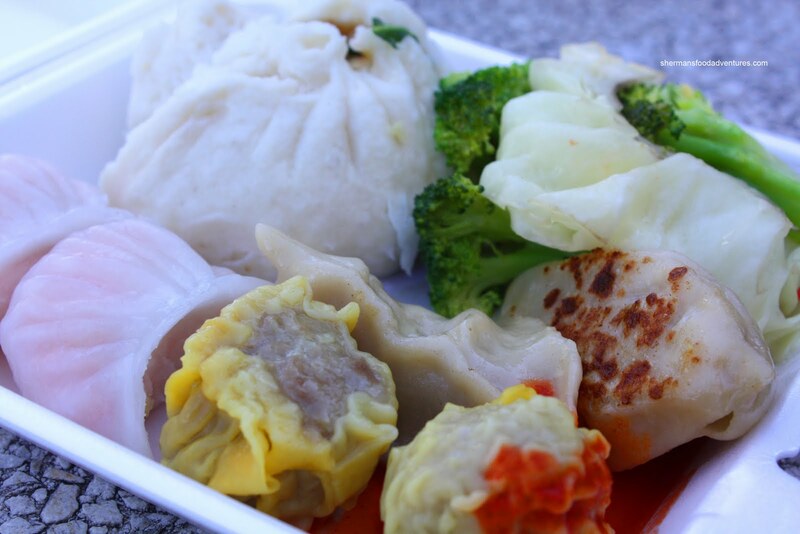 For those who are not that picky, Dim Sum Express does the job at a reasonable price. Yet, if you are particular about your Dim Sum like me, the offerings here are below average. Honestly, I've had some frozen Dim Sum that has been better. Great concept for the Downtown lunch crowd, just not necessarily a draw for Dim Sum connoisseurs. "Seeing that 10 paltry minutes cost $1.00 at the meter, I decided to wait in the car until it was time. But I didn't read the meter carefully and ended up putting in more money than the time limit allowed for. Argh... the feeling of wasted money... So very much against my Chineseness." OMG I almost choked on my coffee reading that. LR, hey I'm Chinese... Wasted money is against my morals... From this post, it almost sounds like Kim and I are the same person!